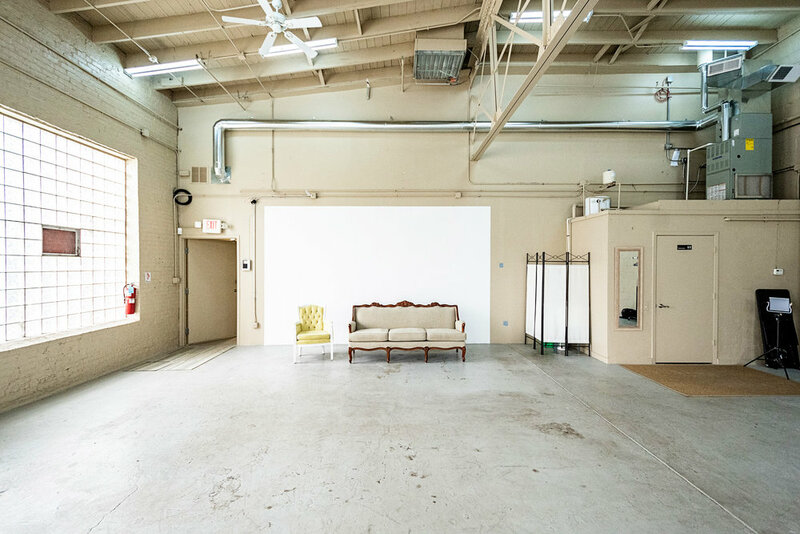 Studio 18a is a 1,500 sq. ft. open space with a barrel roof and exposed beams located in La Grange, IL, 60525. Conveniently located 20 minutes west of Chicago, it is easily accessible by major highways. A Metra train stop with service from Union Station is one block away. 8 ft glass block windows provide ample natural light on even the darkest winter mornings. The space is raw and unbranded, suitable for commercial, product, portrait, corporate, stock, lifestyle or personal branding photography. 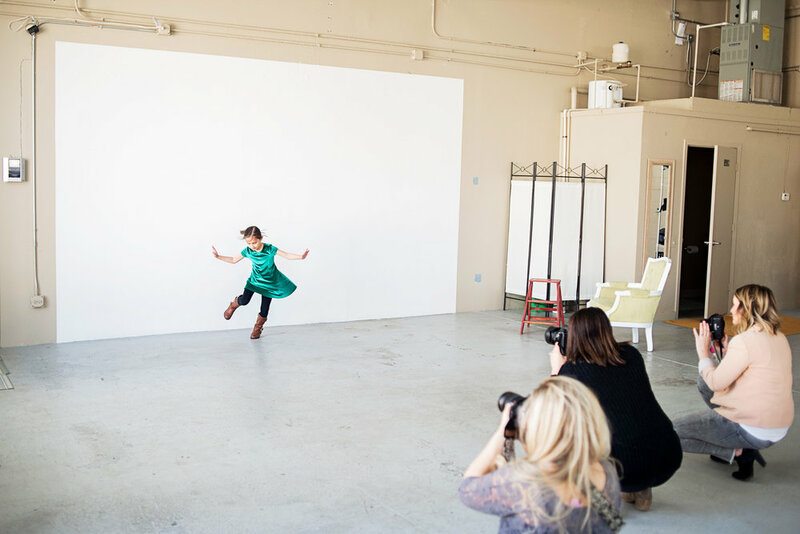 Photographers are responsible for bringing in their own lighting, backdrops and propping. 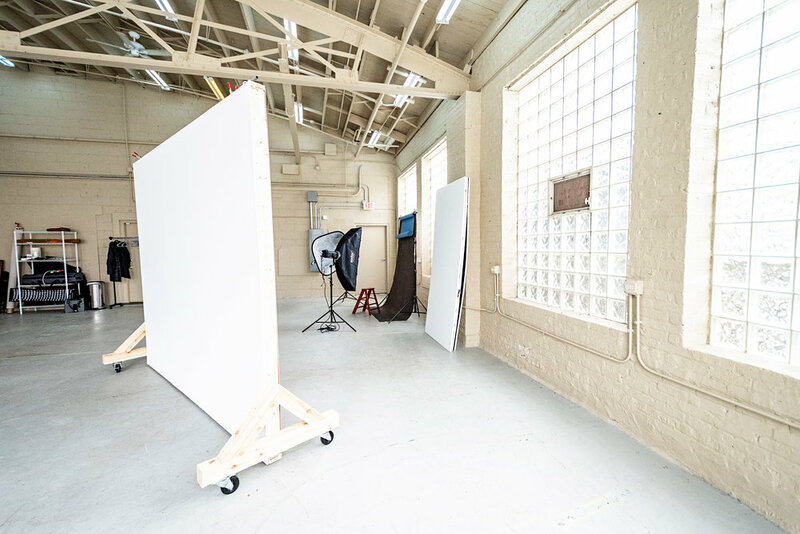 There is a 15 x 9 white shooting wall and a 10 x 8 white wall on casters. A selection of vintage chairs and sofas are also available to use. The studio has an ADA compliant restroom. Photographers must present a valid business license and proof of liability insurance. No glitter. No pets. Nothing may be attached to walls with nails, screws or other methods that leave a permanent mark. We know that photography can get a little messy, but you have to clean up. A security deposit will be held to cover damage and cleaning costs. Full day: $300 for 4-8 hours. Booking multiple full days per calendar month will be discounted by $50 each day. The first day is be $300, the second day is $250, the third day is $200, etc. Email Heidi for more information, to set up a viewing, or to reserve a date.